Flash Sale Alert! 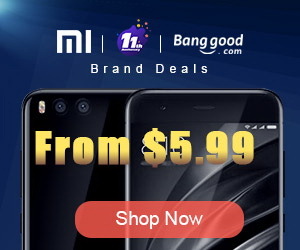 You can now buy Leagoo M8 Huge View Smartphone from Gearbest.com for only 76.99 USD with free shipping world wide. Leagoo M8 - Huge View. You see, the first impression is the last impression and Leagoo knows how to deliver it. Take Leagoo M8 as an example. It’s the most good looking phablet that you can get now for under $77. Leagoo M8 - Broaden Your Horizons. Bold display brings wide vision. 5.7" Super HD Display 1280*720. The 5.7"super HD display with 1280x720 screen resolution shows richer color without over-saturation. Whatever watching movies, playing games or looking at pictures, M8 always delivers vivid and clear image, offering a wonderful visual experience. Applied with rear 13MP AF camera and 8MP front camera, the M8 will not let you miss every beautiful scene in your life, shooting the most authentic photos and recording the interesting videos at any time. Besides, dual-LED flash enables you to take sharp pictures in low-light conditions at night. Equipped with 3500mAh battery, M8 can last longer no matter how many Apps are being operated at the same time. Together with quick charging technology LQC v1.5, M8 is not only endurable, but also can be charged to full in a moment. The battery is removable and easily replaceable. Packed with 2GB large memory, M8 brings a more stable and faster multi-tasking experience. With 16GB of ROM and support for extra 128GB memory expansion, it allows you to store millions of apps, music, videos and files. Powered by 1.3 GHz Quad core processor, M8 will immediately responds to your instructions and offers a pleasant operating experience. Run smoothly even if more than one Apps opened at the some time. In order to deliver a powerful and dynamic sound performance, M8 adopts Awinic K7 chip which features Hi-Fi standard sound and Box Speaker to bring a home theater system experience to music fans. M8 applied with the newest generation of fingerprint sensor, which is more convenient and faster than using patterns or passwords. Press your finger gently on the sensor and M8 unlocks in just 0.19s. And it can be used to operate a bunch of tasks, such as unlocking, selfie-taking, fingerprint dial, page flipping, etc. 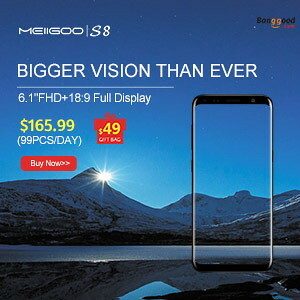 M8 supports 2G and 3G network, and it supports dual SIM dual standby at the same time, which helps you operate two different 3G networks via one phone, and switch work to personal life easily. Corning Gorilla Glass 4 is well known as its steadiness, durability and high transparency. We thicken the weak edge of the touch panel based on it making M8 stronger and more solid than ever. The latest LEAGOO Freeme OS 6.0 is based on Android 6.0, which has been optimized to be faster and more power-saving. Besides, Freeme OS 6.0 brings a unique and delightful UI to enrich user experience. Two colors including Titanium Grey, Galaxy White and Champagne Gold are applied on M8. Choose the one you love. Unboxing Photo Album with Hi-Rez images here. Offiicial Webpage here. 7. Leagoo Alfa 2: Unboxing & Review. 8. Leagoo Shark 1: Unboxing & Review.